At first glance the Birdcage looks like a fairly conventional “aero” style rim, but there is more to it than that. The first clue comes from the name; birds have hollow bones to save weight whilst retaining as much strength as possible, and the Birdcage rim has a hollow bead for the same reason. The rim’s hollow bead is still big and chunky to help reduce the chances of pinch puncturing or flat spotting the rim, but by creating a tiny hollow cavity inside it, we were able to to keep the weight down and make the Birdcage GSport's lightest rim available. Traditionally, the greatest flaw in “aero” rims has been the valve hole. 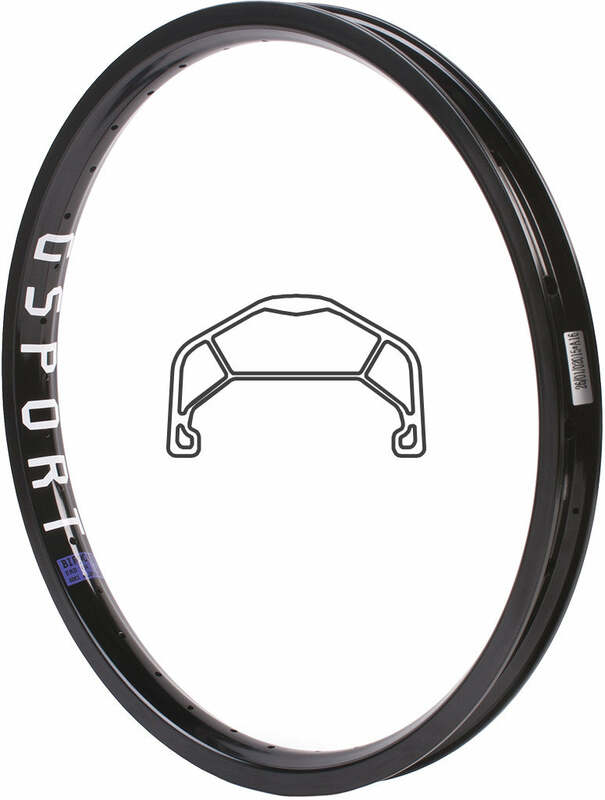 “Aero” rims position a lot of very efficiently utilized mass in the base of the rim to support the spokes and give the rim good strength, then a huge hole is drilled through it for the valve stem and a massive weak-spot is created. With the Birdcage, we’ve offset the valve hole so that this section can retain its strength. A handy side-effect of this is that fitting a pump is now more convenient. The end result is one of our most high tech rims to date. With a weight of just 440g (15.5oz) it outperforms most rims weighing 20-30% more, and the weight saving from the rotational mass of the wheel feels fantastic.